For flying and travel enthusiasts, and depending on whether or not you can afford it, flying private is either the only way to travel or a once in a lifetime opportunity. The problem is once you’ve had a taste of private jets, you really don’t want to go back to commercial, especially since service on commercial airlines has vastly deteriorated (with a few notable exceptions of course) after September 11th and the rise of low-cost airlines. There are several companies nowadays that bring this dream a little closer to reality for more than just a select few though, with empty legs or empty seats for sale. One such company is Centreline Air. Based in Bristol in the United Kingdom, they fly everywhere you may want to go within Europe on a jet of your choice. They also have larger aircraft than can fly you on longer journeys i.e. to New York. They offer a wide range of services including: aircraft charter, acquisition, management, and recoop (Reduced Cost Of Ownership Programme), as well as jets for sale. Phil Brockwell, the owner of the company, is among the most humble and nicest people I have ever met. He, along with Nikki Rose, the Commercial Manager who’s worked with him in growing the business to what it is today, make a great team. Their level of professionalism and service is unparalleled and they and their team of pilots strive to create the perfect, most seamless experience for their clients. What they’ve written on their home page really holds true and I could not recommend them more highly. The first time you fly with Centreline, we know you will have looked closely at our competitors. You may even have used some of their services. But by the time you have made a couple of journeys with us, we are confident that you won’t want to give your business to anyone else. My dear American readers, enter to win two round trip tickets to Fiji from Lesley Carter at Bucket List Publications and Fiji Airways by 12:59:59 p.m. PDT on July 19, 2013 – just follow her instructions below! Imagine winning two free tickets to Fiji! It can happen right here! Do you dream of visiting Fiji? Is it one of your bucket list items? I’m honored to work with Fiji Airways to give away two round trip tickets to Fiji! From July 8th to July 19th, you will have multiple opportunities to enter the two round trip ticket giveaway. See below for instructions on how to enter! Get ready to explore and say Bula to Fiji! 1. Play the Memory Game on Facebook. Each of the 5 ways to enter counts as one entry! So enter as many ways as you can. Some good friends of mine are also giving away a few tickets to Fiji. So after you sign-up to win here on my blog, head on over to theirs and sign-up again to increase your chances of winning! OFFICIAL RULES NO PURCHASE OR PAYMENT OF MONEY IS NECESSARY TO ENTER OR WIN THIS PROMOTION. The following, Bucket List Publications “Fiji Airways – ticket giveaway” Promotion (the “Promotion”), is one sweepstakes. ELIGIBILITY: The Promotion is open and offered only to legal residents of the 50 United States and Washington, D.C., who are 21 years of age or older at the time of entry. Employees of Bucket List Publications, Fiji Airways and Sparkloft Media, their subsidiaries, affiliates, immediate families (parent, child, sibling or spouse) or household members and any other persons or entities associated with this Promotion are ineligible to enter or win. Entrants must be present at IPW in order to be eligible for the prize. Void everywhere except in those countries listed in this section. SPONSOR/ADMINISTRATOR: The Promotion is sponsored by Bucket List Publications (the “Sponsor”). AGREEMENT TO OFFICIAL RULES: By participating, Entrants (the “Entrants”) agree to abide by and be bound by these Official Rules and the decisions of the Sponsor, which are final and binding in all matters relating to the Promotion. Winning a prize (prizes defined below) is contingent upon fulfilling all requirements set forth herein. HOW TO ENTER: The Promotion begins at 09:00:01 a.m. Pacific Daylight Time (“PDT”) on July 8th, 2013 and ends at 12:59:59 p.m. PDT on July 19, 2013 (“Promotion Period”). Bucket List Publications is the official time-keeping device for the Promotion. During the Promotion Period, Eligible Entrants can enter the Promotion through Bucket List Publications. If a prospective Entrant is not already a member of Bucket List Publications, he/she may visit Bucket List Publicaitons and follow the links and instructions. Once the eligible Entrant has become an active member of the necessary platform, they have the opportunity to enter the Promotion by following the instructions. All required information must be provided to enter and to be eligible to win. Incomplete entries will be disqualified. Proof of entering information at the Website is not considered proof of delivery to or receipt by Sponsor of an entry. Internet entries must be made by the Entrant only at the Website. Entries made by any other individual or any entity, or originating at any other web site or e-mail address, including, but not limited to, commercial Sweepstakes subscription notification or entering service sites, will be declared invalid and disqualified for this Promotion. The use of automated entry devices is prohibited and no mechanically reproduced entries are allowed; all such entries are void. Released Parties (as defined below) are not responsible for: late, incomplete, incorrect, undelivered, or misdirected entries. Sponsor reserves the right to disqualify any person or account/e-mail address, that submits more than maximum allowed entries. All entries become the exclusive property of Sponsor and will not be acknowledged or returned. By participating, you consent for Sponsor to obtain, use, and transfer your name, address and other information for the purpose of administering this Promotion and for other purposes as set forth below. GENERAL CONDITIONS: If for any reason the operation or administration of this Promotion is impaired or incapable of running as planned for any reason, including but not limited to (i) infection by computer virus, bugs, (ii) tampering, unauthorized intervention, (iii) fraud, (iv) technical failures, or (v) any other causes beyond the control of the Sponsor which corrupt or affect the administration, security, fairness, integrity or proper conduct of this Promotion, the Sponsor reserves the right at its sole discretion, to disqualify any individual who tampers with the entry process, and to cancel, terminate, modify or suspend the Promotion in whole or in part, at any time, without notice and award the Prizes using all non-suspect eligible entries received as of, or after (if applicable) this cancellation, termination, modification or suspension date, or in any manner that is fair and equitable and best conforms to the spirit of these Official Rules. Sponsor reserves the right, at its sole discretion, to disqualify any individual deemed to be tampering or attempting to tamper with the entry process or the operation of the Promotion or Sponsor’s Website; or acting in violation of these Official Rules or in an unsportsmanlike or disruptive manner. CAUTION: ANY ATTEMPT TO DELIBERATELY DAMAGE ANY WEBSITE OR UNDERMINE THE LEGITIMATE OPERATION OF THE PROMOTION IS A VIOLATION OF CRIMINAL AND CIVIL LAWS AND SHOULD SUCH AN ATTEMPT BE MADE, THE SPONSOR RESERVES THE RIGHT TO SEEK DAMAGES OR OTHER REMEDIES FROM ANY SUCH PERSON (S) RESPONSIBLE FOR THE ATTEMPT TO THE FULLEST EXTENT PERMITTED BY LAW. Failure by the Sponsor to enforce any provision of these Official Rules shall not constitute a waiver of that provision. In the event of a dispute as to the identity of a winner based on an e-mail address, the winning entry will be declared by the authorized account holder of the e-mail address submitted at time of entry. “Authorized account holder” is defined as the natural person who is assigned to an e-mail address by an Internet access provider, on-line service provider or other organization (e.g., business, educational, institution, etc.) that is responsible for assigning e-mail addresses for the domain associated with the submitted e-mail address. RELEASE AND LIMITATIONS OF LIABILITY: By participating in the Promotion, Entrants agree to release and hold harmless the Sponsor, Bucket List Publications, the Administrator, and Sparkloft Media, their respective parents, employees, officers, directors, subsidiaries, affiliates, distributors, all prize providers, sales representatives, advertising and promotional agencies (collectively, the “Released Parties”) from and against any claim or cause of action arising out of participation in the Promotion or receipt or use of any prize, including, but not limited to: (i) any technical errors that may prevent an Entrant from submitting an entry; (ii) unauthorized human intervention in the Promotion; (iii) printing errors; (iv) errors in the administration of the Promotion or the processing of entries; or (v) injury, death, or damage to persons or property which may be caused, directly or indirectly, in whole or in part, from Entrant’s participation in the Promotion or receipt of any prize. Released Parties assume no responsibility for any error, omission, interruption, deletion, defect, delay in operation or transmission, communications line failure, theft or destruction or unauthorized access to, or alteration of, entries. Released Parties are not responsible for any problems or technical malfunction of any telephone network or telephone lines, computer on-line systems, servers, or providers, computer equipment, software, failure of any e-mail or entry to be received by Sponsor on account of technical problems, human error or traffic congestion on the Internet or at any Website, or any combination thereof, including any injury or damage to Entrant’s or any other person’s computer relating to or resulting from participation in this Promotion or downloading any materials in this Promotion. Entrant further agrees that in any cause of action, the Released Parties’ liability will be limited to the cost of entering and participating in the Promotion, and in no event shall the Released Parties be liable for attorney’s fees. Entrant waives the right to claim any damages whatsoever, including, but not limited to, punitive, consequential, direct, or indirect damages. Winners must sign a release of liability in order to receive the prize. DRAWING AND NOTIFICATION: The potential Grand Prize Winner will be selected in a random drawing from among all eligible entries by the Administrator whose decisions are final and binding. The Grand Prize drawing will be conducted on or about July 20, 2013. Odds of winning the Grand Prize will depend on the total number of eligible entries received throughout the Promotion Period as well as the winning beverage selection. The potential Grand Prize Winner will be contacted by the Administrator via WordPress, Facebook, Twitter or by other necessary means. PRIZES: There will be one (1) Prize awarded following the conclusion of the Promotion Period. The Grand Prize Winner, upon the Administrator’s confirmation of eligibility, will receive two (2) Fiji Airways economy class tickets, roundtrip from Los Angeles to Nadi, Fiji. Prize is valid on Fiji Airways operated flights only for sectors from Los Angeles to Nadi, Fiji and return. All Government taxes and surcharges are the responsibility of the winner. Travel for this prize must be completed by June 20th, 2014. The prize/ticket is non-transferrable, cannot be en-cashed nor be redeemed in any other format. The ticket is non-endorsable, non-reroutable and non-refundable. Frequent flyer mileage accrual is not applicable. The period of travel is subject to embargo periods (black-out travel dates) and confirmation will be subject to availability. Our office will advise you at time of booking and will provide the closest alternate dates available for travel. Request of travel must be made at least 30 working days prior to travel dates. Visa applications as necessary and costs plus other cost and services are the responsibility of the winner. In the event of flight disruption, there will be no compensation. 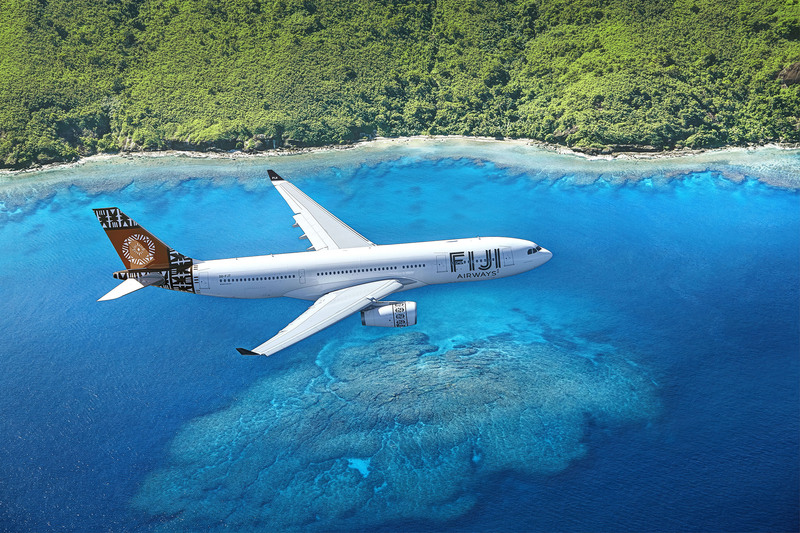 ALL RESERVATIONS AND TICKETING MUST BE MADE DIRECTLY WITH FIJI AIRWAYS in Los Angeles. Contact information will be provided upon confirmation of the prize acceptance. Please make a copy of this document for your records and allow 15 days for processing. Once your tickets are issued, they are valid for 90 days. Date changes are permitted prior to travel date. Once travel has commenced, reissues or extensions are not allowed unless required and requested by Fiji Airways. The Approximate Retail Value (“ARV”) of the prize is USD $1,220 per person OR USD $2,440 in total. which will vary depending upon points of departure and destination and seasonal fluctuation travel rates. All other expenses not specifically mentioned herein, including but not limited to, airport taxes and fees, baggage fees, ground transportation not specifically delineated, food, beverages, additional hotel amenities or fees and gratuities, are the responsibility of Winner and traveling companion. Sponsor is not responsible for any cancellations, delays, diversions or substitutions or any act or omissions whatsoever by the air transportation carriers, hotels or other transportation companies or any other persons providing any of these services and accommodations necessitated by same. Sponsors shall not be liable for any loss or damage to baggage and/or personal property. If actual value of prize is lower than the stated ARV when prize is procured and fulfilled, then the difference will not be awarded. Travel companion must be 21 years of age or older. Winner and traveling companion must travel on same itinerary. Travel, hotel and other accommodations subject to availability. Certain blackout dates and material restrictions may apply. No substitution or transfer of prize will be permitted. The Sponsor reserves the right at its sole discretion to substitute the prize with another prize of equal or greater value in the event that the aforementioned prize is not available. ADDITIONAL PRIZE CONDITIONS: By accepting a Prize, all Prize Winners agree to release and hold harmless the Released Parties from and against any claim or cause of action arising out of participation in the Promotion or receipt or use of the prize in question. The potential Grand Prize Winner will be notified and must sign and return to the Administrator, within 10 days of the date of notice or attempted notice is sent, an Affidavit of Eligibility, Liability & Publicity Release in order to claim his/her prize. Note: The Affidavit sent to a US potential Grand Prize Winner will require that the Winner provide their Social Security Number to the Administrator, which will be used solely for tax reporting purposes. All Prize Winners will be responsible for all local, state, and federal taxes associated with the receipt of the prize. The Grand Prize Winner must note that the value of the accepted prize is taxable as income and an IRS Form 1099 will be filed in the name of the Winner for the value of the prize and the Winner is solely responsible for all matters relating to the prize after it is awarded (applicable if and only if the confirmed Grand Prize Winner is a U.S. resident). If a prize or prize notification is returned as unclaimed or undeliverable to the potential Grand Prize Winner, if the potential Grand Prize Winner cannot be reached within NUMBER OF DAYS business days from the first notification attempt, or if the potential Grand Prize Winner fails to return requisite document(s) within the specified time period, or if the potential Grand Prize Winner is not in compliance with these Official Rules, then such person shall be disqualified and, at Sponsor’s sole discretion, an alternate winner may be selected. MISCELLANEOUS: By accepting the a Prize, where permitted by law, the Prize Winners grant to the Released Parties and those acting pursuant to the authority of Sponsor and the Released Parties (which grant will be confirmed in writing upon Sponsor’s request), the right to print, publish, broadcast and use worldwide IN ALL MEDIA without limitation at any time a Prize Winner’s full name, portrait, picture, voice, likeness and/or biographical information for advertising, trade and promotional purposes without further payment or additional consideration, and without review, approval or notification. IN NO EVENT WILL RELEASED PARTIES BE RESPONSIBLE OR LIABLE FOR ANY DAMAGES OR LOSSES OF ANY KIND (INCLUDING WITHOUT LIMITATION, DIRECT, INDIRECT, INCIDENTAL, CONSEQUENTIAL, OR PUNITIVE DAMAGES) ARISING OUT OF PARTICIPATION IN THIS PROMOTION OR THE ACCEPTANCE, POSSESSION, USE, OR MISUSE OF, OR ANY HARM RESULTING FROM THE ACCEPTANCE, POSSESSION, USE OR MISUSE OF THE PRIZES. By participating, Entrants release and agree to hold harmless the Released Parties from any and all liability for any injuries, death or losses or damages to persons or property AS WELL AS CLAIMS/ACTIONS BASED ON PUBLICITY RIGHTS, DEFAMATION, AND/OR INVASION OF PRIVACY that may arise from participating in this Promotion or its related activities or the acceptance, possession, use or misuse of, or any harm resulting from the acceptance, possession, use or misuse of the Prize(s). The Prize Winners also acknowledge that Released Parties have neither made nor are in any manner responsible or liable for any warranty, representation or guarantee, express or implied, in fact or in law, relative to the Prize. DISPUTES: All issues and questions concerning the construction, validity, interpretation and enforceability of these Official Rules or the rights and obligations of Entrants’ and Sponsor in connection with the Promotion shall be governed by and construed in accordance with the laws of the YOUR STATE, without giving effect to any choice of law or conflict of law rules or provisions that would cause the application of any other state’s or jurisdiction’s laws. By participating in the Promotion, Entrant agrees that: (i) any and all disputes, claims, and causes of action arising out of or in connection with the Promotion, shall be resolved individually without resort to any form of class action; (ii) any judicial proceeding shall take place in a federal or state court within the State of YOUR STATE; (iii) any and all claims, judgments, and awards shall be limited to actual out-of-pocket costs incurred, including costs associated with entering this Promotion, but in no event will attorney fees be awarded or recoverable; (iv) under no circumstances will Entrant be permitted to obtain awards for, and Entrant hereby waives all rights to seek, punitive, incidental, exemplary, consequential, special damages, lost profits, other damages, and/or any rights to have damages multiplied or otherwise increased; and (v) Entrant’s remedies are limited to a claim for money damages (if any) and he/she waives any right to seek injunctive or equitable relief. The invalidity or unenforceability of any provision of these Official Rules will not affect the validity or enforceability of any other provision. If any provision of the Official Rules is determined to be invalid or otherwise unenforceable, the other provisions will remain in effect and will be construed as if the invalid or unenforceable provision were not contained herein. Yes the title is true, and once you visit you can see why he would want to. This charming place is about two hours south of San Francisco – a perfect stop on a drive down the coast to Los Angeles. Stay at L’Auberge Carmel, part of the Relais & Chateaux group which has some of the most charming hotels in the world. 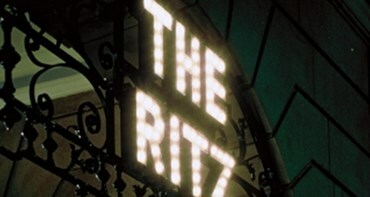 The food and service here is excellent, the rooms are cozy, and the layout intimate. They even have small touches like milk and cookies and a personalized welcome note. Pre-pay for a cheaper rate with breakfast and parking on booking.com, but just be aware that you usually cannot cancel then. Tipping is included in the price of your stay so you don’t need to stress about calculations. Visit the beach here – either to surf, run or just lay out on the sand and enjoy the peaceful nature. Take a romantic walk around the town to visit the shops or grab a bite to eat, or if you fall in love with the place like most people who visit – do a bit of house hunting.